There are around 20 species of Snowdrops. For the plant buffs among you the genus is ‘Galanthus‘ and the family is ‘Amaryllidaceae‘. For the none plant buffs every snowdrop name starts with Galanthus and another word or two. The first word tells you it is a snowdrop and the following words which species or variety. The word Galanthus is often shortened just to a G so you might see a plant name like this; G. Nivalis. The plants have a distinctive appearance, two long thin green leaves and a single white flower who’s weight makes it drop towards the ground. The flower petals are always white. The petals form an external ring and then three more a tighter interior ring with green tips. The external ring is composed of three petals or 6 in the case of double varieties. The vast majority of the species will flower in winter or very early spring but a few species flower in autumn. Of the early flowering varieties, they can flower through snow hence their name. 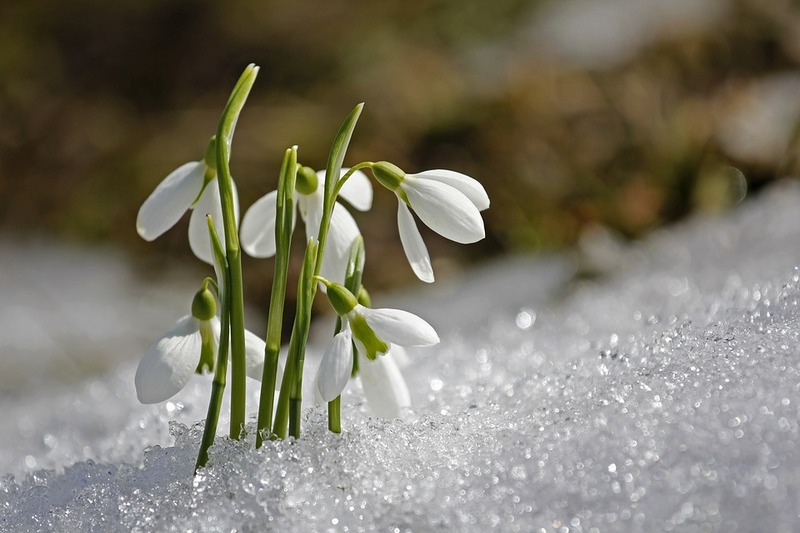 All snowdrops grow from bulbs and the bulbs propagate freely when the bulbs divide underground. They naturally form large drifts over time as their bulbs grow and divide. Of course snowdrops can also propagate via seeds when suitable pollinators are available to them. 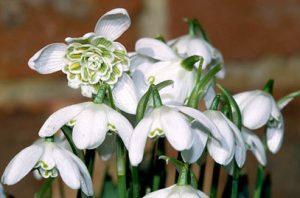 Here are the Royal Horticultural Societies top 10 Snowdrop species chosen because they are easy to grow and beautiful. Most varieties are single petal versions however there are some very impressive double varieties. A great one is Galanthus nivalis f. pleniflorus ‘Flore Pleno’. 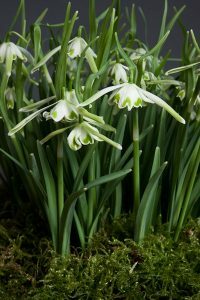 Another interesting variety is the ‘Walrus’ (another cultivar of Galanthus nivalis) it is green with a white border to the petals and it appears variegated from above. Another cultivar to look out for is the Lady Elphinstone which is a double petal version with gold/yellow central petals. 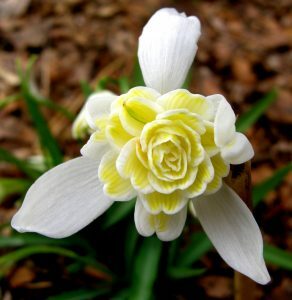 It looks like a cross between a snowdrop and a daffodil. 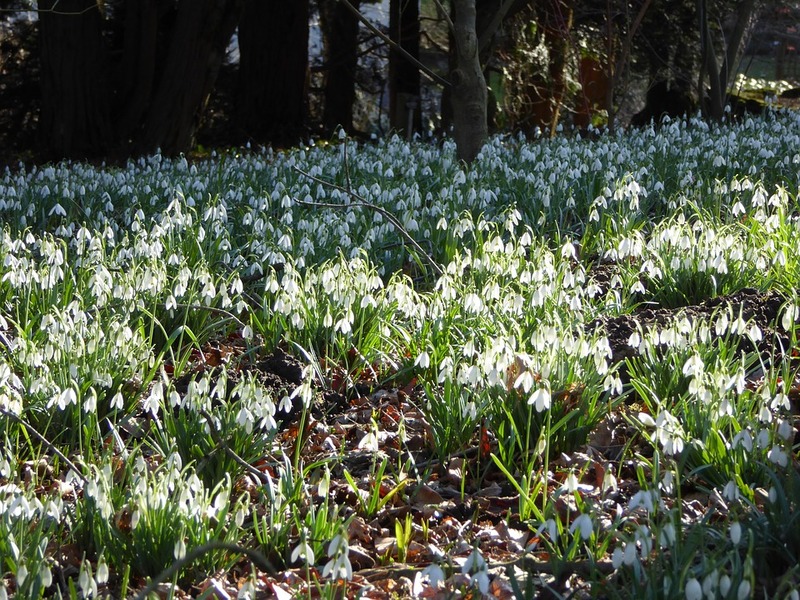 There are some locations in the UK with spectacular swathes of snowdrops. The best time to see the plants varies with the weather each year but the season is January to March. The National Trust also has a great webpage which collects Top Spots for Snowdrops split by UK region. If you fall in love with Woodland carpeted with Snowdrops why not buy your own! Woodland management is a sensible investment so you can justify all the fun & pride involved in owning and managing a piece of wild Britain. 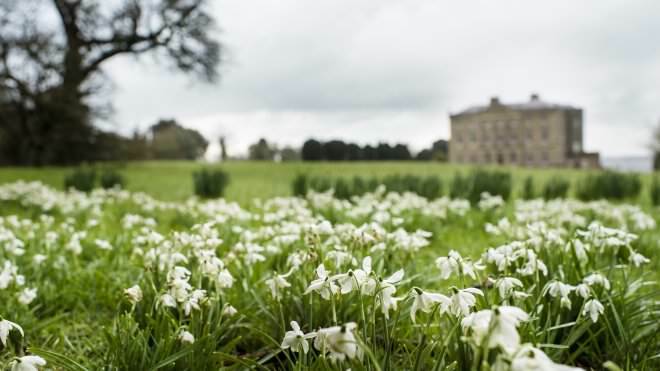 You can plant snowdrops, bluebells and encourage plenty of wildlife whilst enjoying your own private rambles, picnics and parties! It is important to understand that most species are only endangered in their natural habitats where loss of habitat and bulb lifting have vastly reduced natural populations. To ensure you are not making this situation worse make sure you get your plants from a source that is not going to cause further damage or decimate wild populations. Ask a friend or neighbour for some of their garden bulbs or a lifted clump (in the green). Only buy plants and seeds from registered wildflower seeds suppliers with horticultural organisations and provide known provenance stock. The plants are native to Europe and the Middle East however the vast majority of species are actually from the Middle East with only about 5 species being truly native to Europe. Of those 5, only one species was widely native to Europe (Galanthus Rivalis) the other four (G. Reginae-olgae, G. Elwesii, G. Gracilis and D. Plicatus) are native to small areas of Greece, Italy and the Ukraine. Surprisingly no species of snowdrop is actually considered to be truly native to the UK. Whereas some experts think the Romans brought the plant with them other people think it was introduced as late as the 16th century. Today the plant, particularly G. Nivalis, is widespread throughout Europe and North America due to it’s popularity as a garden plant.